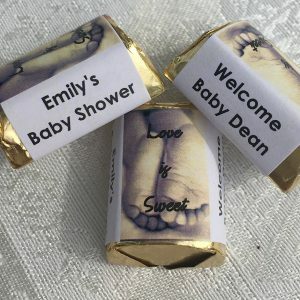 120 ADORABLE BABY FEET BABY SHOWER HERSHEY NUGGET CANDY WRAPPERS-STICKERS-LABELS personalized gender neutral baby shower. 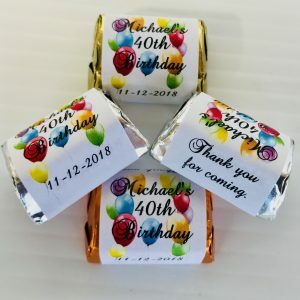 Make chocolate party favors. 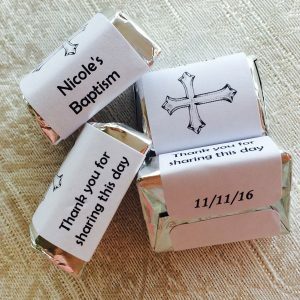 120 BAPTISM-CHRISTENING personalized candy wrappers, adhesive stickers, labels for your Hershey nuggets. 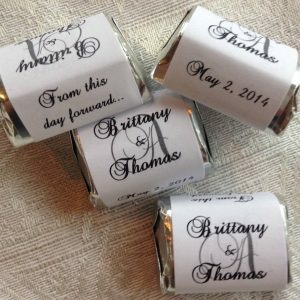 Make your own party favors. 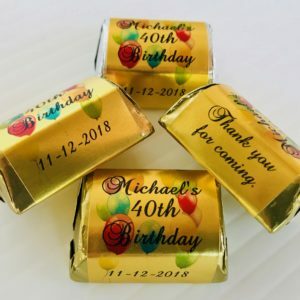 120 Double Gold Hearts Anniversary Circle Stickers-Favors for YOUR York Peppermint Patty Patties Candy. 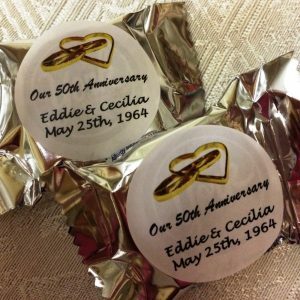 PERSONALIZED stickers to make 50th Anniversary party favors. 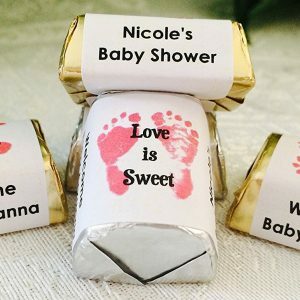 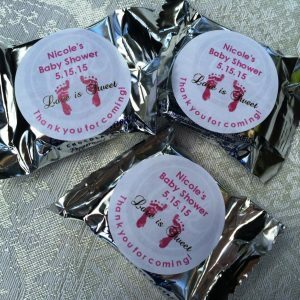 120 FOOTPRINTS BABY SHOWER HERSHEY NUGGET CANDY WRAPPERS/STICKERS/LABELS personalized for party to make favors using your chocolates. 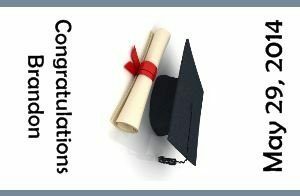 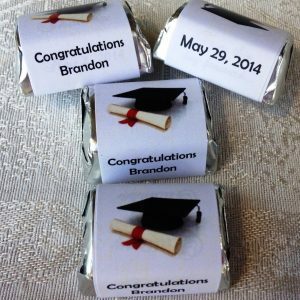 120 GRADUATION THEMED personalized candy wrappers, adhesive stickers, labels for your Hershey nuggets. 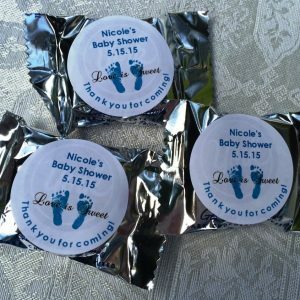 Make great party favors. 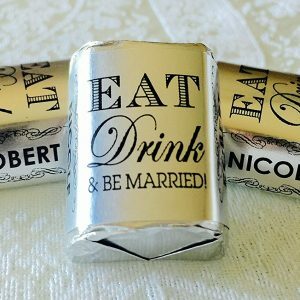 120 Personalized EAT Drink & BE MARRIED! 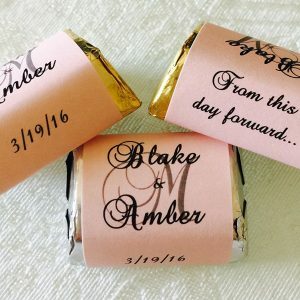 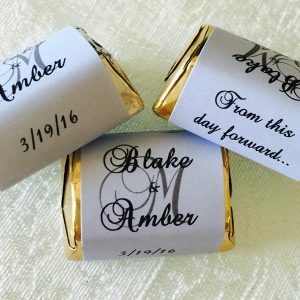 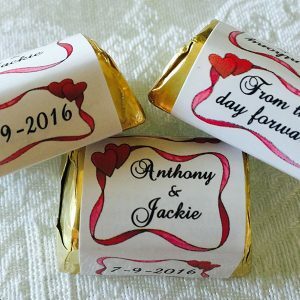 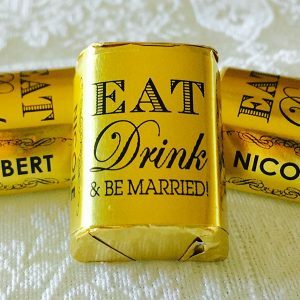 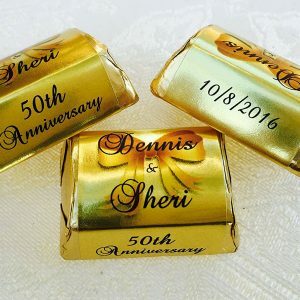 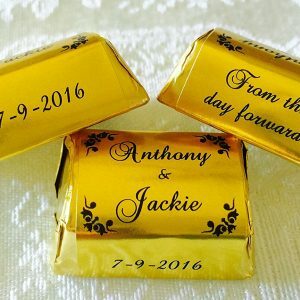 GOLD FOIL WEDDING CANDY WRAPPERS-Stickers-Labels to make chocolate favors using your HERSHEY NUGGETS. 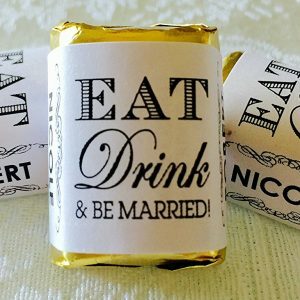 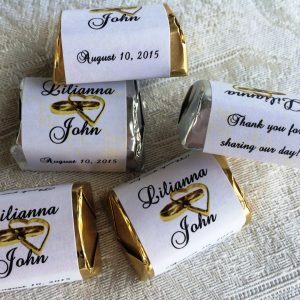 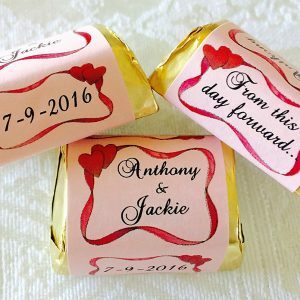 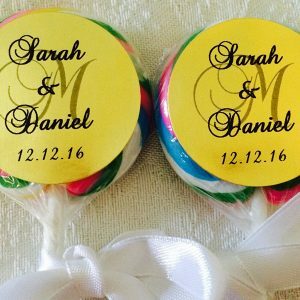 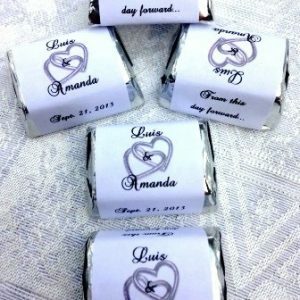 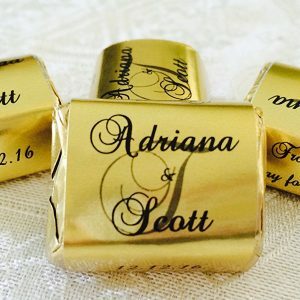 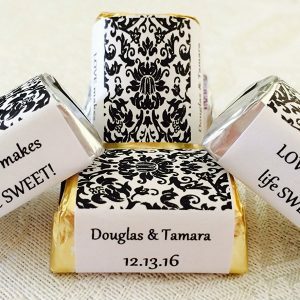 120 Personalized GOLD FOIL SPECIALTY SCROLL BORDER WEDDING CANDY WRAPPERS-Stickers-Labels for any party or event to Make your own chocolate favors using your HERSHEY NUGGETS.